Only 20 minutes north of San Antonio by Interstate 10 lies the small, but fast growing town of Boerne, Texas. Boerne was an offshoot of the Texas Hill Country Settlements of 1848 and is the county seat of Kendall County Texas. Boerne was named to honor a Jewish-German author and publicist. The local population was just over 10,000 with the 2010 census. (With all the growth Boerne has experienced in the past 6 years that number has sharply risen). Take a stroll down Boerne’s main street and you step back in time to their historic district and you will find a myriad of specialty shops, antiques, home accessories, unique gifts, boutiques, jewelry and art galleries. Intermingled within all these shops are bakeries, coffee shops, wine bars and a brewhaus on the creek. 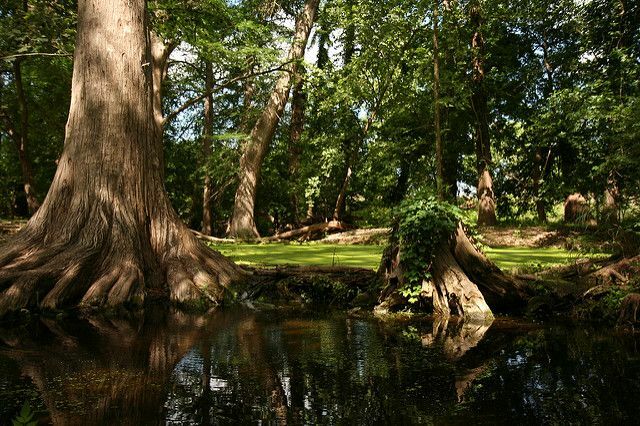 Flowing through downtown Boerne is the lovely Cibolo Creek which is lined with beautiful cypress trees. River Road Park is a popular place to go and offers a nice place to have a picnic or go fishing in downtown Boerne. There is the nationally recognized Cibolo Nature Center, hiking trails and boardwalk which allow you to explore four distinct ecosystems in one area - grasslands, marshland, woodland and river bottom as well as the 300 acre City Lake. Boerne has over 140 historic structures still in existence today with steep gables, outside staircases, narrow window details and lovely gardens. The local citizens are proud of their culture and heritage. Boerne has planned year-round festivals, parades and cultural events such as the Kendall County Fair, Berges Fest, Parade of Artists, Chocolate Walk, Winds Over Boerne, Dickens on Main, Cibolo Songs & Stories, Weihnachts Fest, and Boerne Market Days. The cuisine available in Boerne ranges from hometown Texas BBQ to home-style cooking to fine dining. Local eateries include the Bear Moon Bakery & Cafe’ and the Boerne Grill for casual dining. Culinary enthusiasts can check out Kiss the Cook, Cathy’s Fine Chocolate or Boerne Epicure Gourmet Market. The Dodging Duck Brewhaus on River Rd. has won 6 medals at the World Beer Championships for their home brewed beer. Being so close to San Antonio, many locals visit Boerne as their “quick getaway” destination as its become a desirable day trip with one can enjoy the bounty of the Texas Hill Country. Whatever your indulgence you can find it here in Boerne Texas.